Members of Congress and Administrations have periodically considered reorganizing the federal government’s trade and development functions to advance various policy objectives. This book examines the Trump administration’s 2019 budget request to consolidate OPIC and other agency development finance functions, specifically the DCA of the USAID, into new US development foreign agencies. The second report shows in tabular form how much the Administration requested and how much Congress appropriated for US payments to the multilateral development banks (MDBs) since 2000. The third report included in this book looks at the Millennium Challenge Corporation (MCC) that provides economic assistance through a competitive selection process to developing nations that demonstrate positive performance in 1. Ruling justly, 2. Investing in people and 3. Fostering economic freedom. Next, an overview of US foreign assistance to Israel is provided. It includes a review of past aid programs, data on annual assistance and analysis of current issues. 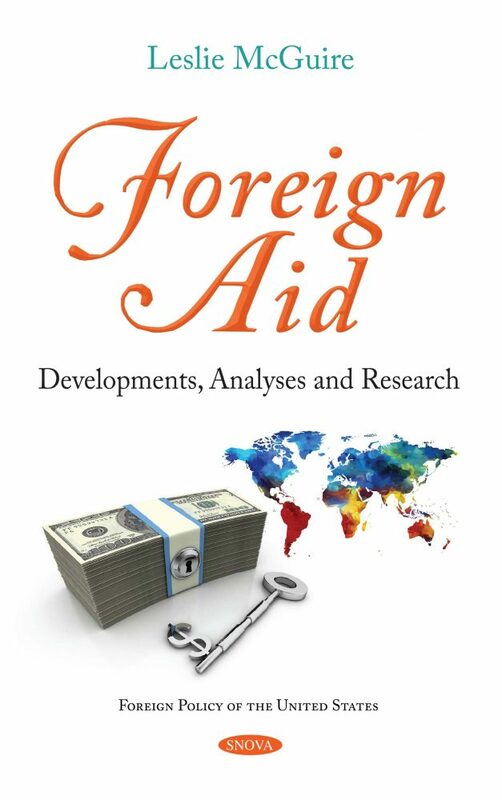 Finally, this book examines the legislative authorization and appropriation of funds for foreign aid and security cooperation which are potential vehicles for congressional responses to developments in Cameroon, along with oversight activities. Additionally, to date, the US has directed nearly $7.7 billion toward Syria-related humanitarian assistance, and Congress has appropriated billions more to support security and stabilization initiatives in Syria and in neighboring countries. The chapters herein provide an overview on the Syria conflict and the US response in what is now its seventh year of conflict.